In this context, "not happen" means you'll drive around town looking for the official voice-changing Captain America Beard from Infinity War, only to discover everyone's sold out, then resign yourself to telling your child that you didn't love them enough to make their Christmas dreams come true. Speaking of dashing dreams: I made the "Voice Changing Captain America Beard" up. No such toy exists. Sorry. Honestly, I have no idea. Depending on a lot of factors, that may still work. Amazon, Walmart, Target, Walgreens, Go!, Big Lots, GameStop, and a host of other stores might have you covered. Plus, there's talk of bringing KB Toys back from the dead. But even if they succeed in opening the 1,000 KB Toys the article talks about (and I'm extremely skeptical they'll really get that number up and running this year), that won't come close to making up for the lost shelf space left by Toys R Us. I have every confidence the toy industry will recover, though I wouldn't be at all surprised to see a few manufacturers drop in the process. But gambling that recovery will happen smoothly by Black Friday probably isn't the safest bet. My point is you shouldn't count on being able to find the toys your kid wants this December. Or, hell, even this November. We've never seen the toy industry hit at a scale this large before, and that could easily translate into a lack of options as millions of parents compete for a limited supply. I'd expect few options, crowded aisles, and long lines this winter. So if you've got the ability to do so, you might want to get an early start. A really early start, in fact. Toys R Us has started marking down their inventory. Said markdowns are pretty pitiful at present, but they'll become more robust over the upcoming weeks. 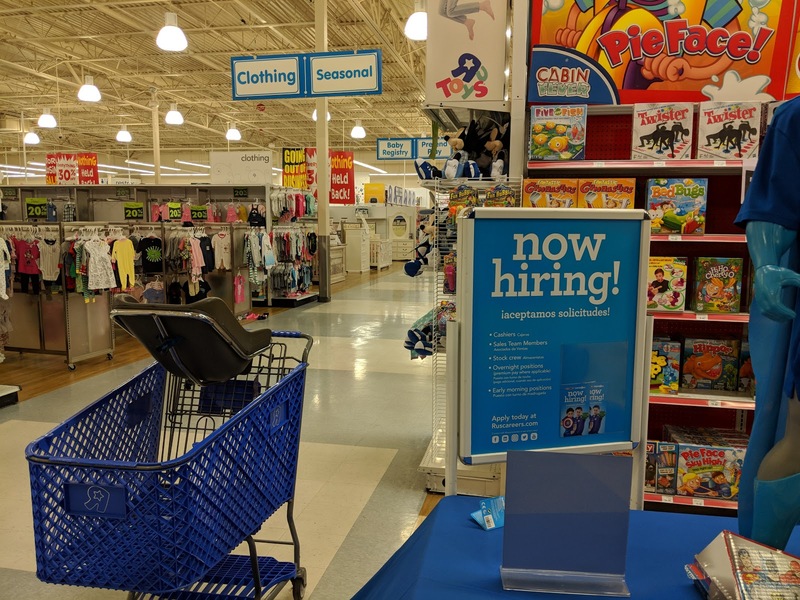 In addition, there's a good chance Toys R Us's competitors - Amazon, in particular - will drop prices to respond to the decrease in demand caused by more and more people taking advantage of Toys R Us's discounts. Obviously, this assumes you're able to predict what your kid will want next Christmas. I'm sure you'll still need to struggle to find a few special purchases next December, but that'll be easier if you've already got a locked chest full of LEGOs, Barbies, and/or Star Wars figures in your attic to fill out the tree. Because, unlike past years, you can't assume you'll be able to find any of those easily come winter.